The 7 Keys for the 7 Years of Uranus in Taurus. We are approaching a major shift this year. Uranus will move into the the zodiac sign Taurus, on May 16th, 2018. Why I Need Apple Music, Spotify and Google Play Music. I write a lot. And when I do I need music. And the right music at that. Now, I have been on the music software scene since the beginning. Like any other millennial, I had Napster in the early days and would burn CD’s for my friends and family on the daily. I am a HUGE music fan, and I tried it all from Rhapsody to Pandora, and since the first iPod throughout generations of iPhones I obviously also had iTunes. 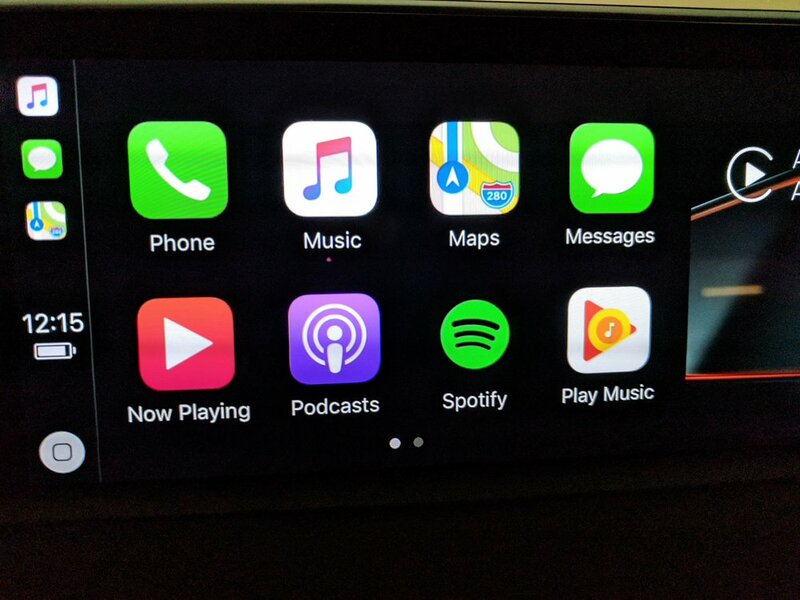 So, I have a huge library of songs that have reincarnated right through all my various operating systems and after my first breakup up with iPhone because of iTunes in 2012, I came back to it for one reason only this year: CarPlay. My new BMW X5 has CarPlay, which is awesome. Sadly, BMW is not opening the doors to Android Auto, which might make my second car purchase an Audi, which does support Android Auto. But I digress. I need Apple Music not only because I can use it with CarPlay in my BMW, which doesn't support Android Auto, but I really like using Siri whilst driving. I say things like, “Hey Siri, play the new album by G-Eazy” or “Play my Sagittarius Playlist” and it works without a problem. I have named Siri, “Sir” and gave him a British accent so that he now more resembles Alfred while I am requesting this and that. It just seems more proper that way. Anyhow, Sir can also play my playlists that have moved with me from years ago, and that’s a lot of fun. But here is where things get tricky. When listening to a memorized playlist (I know what is coming next), I can tell when a song in my playlist has been skipped, which is absolutely annoying when it’s one of my favorite songs. When this accumulates... you get the idea. These are usually songs that cannot be uploaded into iTunes Match or into Apple’s Cloud, for whatever reason (I am thinking legal). Usually this applies to remixes, but it also restricts songs that have been shared or very old songs too. Aside from CarPlay, what I also like about Apple Music is Beats1 Radio and the DJ playlists, from Deadmau5 for example. Also, I love, love, love Podcasts and Apple does them best! Better than Google or anyone else, because they have the largest syndication and of course it works in CarPlay. I was one of the first subscribers to Google Play Music. I can now use Google Play Music with Apple CarPlay, which is awesome. What’s even better is that Google Play Music doesn't have the aforementioned restrictions. I can even access voice recordings in my library. Every song I have is on Google Play Music and it’s glorious. However, “Ok, Google” doesn’t work, though I am sure it would work with Android Auto, and when I am driving at high speeds, the last thing I want to do is fiddle with the touchscreen of my X5 to get the song I want. Hence the reason I need Siri! Just tell him what I want to hear and that’s it. But he doesn't work with Google Play Music! Very frustrating. But I need Google Play Music because I can take all of my music library with me wherever I go. So how could I dump it? The third service I have a hard time letting go of is Spotify. Hands down, Spotify has the best algorithms in finding me new music. It puts Apple’s recommendations to shame! With Apple for example, if I accidentally play a song I don’t like I will be punished to listen to these types of songs in my “For You” playlists. No, thank you. Plus, the Apple new music mixes often contain songs that I already have, when I am looking for new music, that’s the last thing I want. The “Discover Weekly” playlist from Spotify is just a dream. The only downside is that it refreshes every week and if you don’t save the songs you like, they will be forever gone. Spotify is also the fastest of the 3 music services. The songs load so quickly, and here I can also follow my favorite artist and their playlists, which is pretty cool to find new music too. Another Spotify downside is that while there is workaround to access my library, I can’t take it with me on the go and therefore cannot listen to my entire music catalogue. Spotify works with Apple CarPlay but not Siri. use Spotify to find good music that is new, Google Play Music to access my entire library and Apple Music to use CarPlay. 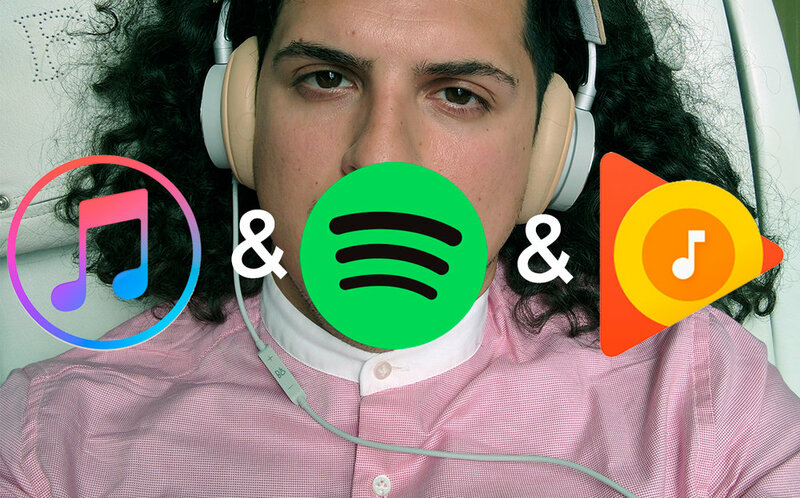 It’s pretty obvious what needs to happen in order to make the ideal music streaming service, at least for people like me. Thankfully, I only pay $7.99 for Google Play Music as an early adopter and can write off Spotify as we use it in retail. Apple Music just takes the full amount, but at least I can access songs via Siri. Is it overkill? No, because as every music lover knows, you never know when you’ll need that song and no, YouTubing it is not going to cut it. Hi there! Thanks for reading! My writings are supported by my readers so if you liked this piece please share it, follow me on Twitter, Instagram or even like my page on Facebook. You can even toss a few my way on my site ArikXander.com or PayPal.Me. Thanks! Why the iPhone X is unhealthy. Anyone who knows me knows that I am a bit of a tech wizard. Having worked at Apple when Steve was still alive, I have seen the company completely change since 2011. Normally, I voice my opinions to close friends who are on the market for some device or need a solution. But with the release of the iPhone X, I am breaking that silence to protect people from becoming even more confused. Part of my profession entails me healing people. Many times people bring items, books, tools, movies and other things to get my opinion. Like, “how's the energy on that” or “what do you think about that?” so I have a lot of experience seeing how things impact our energy. Basically, objects and items can either contribute or deplete our life energy. This is a combination of aesthetics, function, form, purpose, ease of use and so on. When it's depleting, we get confused and tired, or even a false sense of energy in which we crash and burn. Now, I just want to preface that I am a huge fan of all things X and that I have been with Apple since I was a child. I use to play Kid Pix on my Mac when everyone else had a PC. My grandpa even had the Apple 2 I believe. I also switched to Android in 2012 after breaking up with the iPhone and I eventually found my way to the Nexus pure Android experience and then the Pixel (which I just got as a replacement for my Nexus 6P). I also just bought an iPhone 7 in August for my new BMW X5 which doesn't support Android Auto, but does have wireless charging (which my old Nexus had years ago BTW). NOW, I knew the new iPhone 8 was going to be made of glass on both sides and that it was going to have wireless charging, but I still went through with the iPhone 7 Plus in Jet Black because it looks way better than the iPhone 8 and I didn't want it charging next to my liver while I drive for hours upon hours. The wireless charging dock is in the center console. So, now that you know that let's get onto the iPhone X, which I would have loved to have had for my new X5. But ladies and gentlemen, the iPhone X is not good for your health. Health is probably a strong word, so I'll say wellness and spiritual well being. The screen has a black interruption at the top as displayed below which Apple is calling the "notch" cutout. We all intuitively know, this is an obstruction to the eye. On top of that it confuses the brain and causes our body to become uncoordinated. We call this being “switched”, when the etheric wires in our body are malfunctioning. These etheric wires, aka meridians, effect the chakras and then the glands and so on. So we are looking into our phones all day and we are looking into this screen and becoming totally switched! Never mind that it is scanning our faces with infrared technology and learning how to switch us by analyzing our facial patterns as they go from balanced to unbalanced (a marketers dream data to acquire for market manipulation). This iPhone is making our energy unbalanced. I have tested it and felt it right away just upon looking at the screen design. So, if you're on the market for an iPhone, go for the iPhone 8 and if you have or will get the iPhone X, I can teach you some balancing techniques to get you balanced and functioning with both hemispheres working at optimal level. When we are balanced we are creative and ready for life, when we are switched from staring this device we are headed towards a Wall-E like future.